COMMENT: After this terrible tragedy, let's be honest, for once. White supremacy is a part of us, a dark power in the land. In its soft version, it looks bland and reasonable, writes Dame Anne Salmond. Eminent New Zealanders assure their fellows that Māori were "lucky" to be colonised by Europeans, that te reo Māori is worthless, that tikanga Māori have nothing to teach us. Others simply assume ancestral legacies from Europe are superior to those from the Pacific — in the law, science, social and cultural life. After Māori, the indigenous people of this country, this sense of white superiority spills out over "other" groups — Pasifika, Asian people, and now Muslims in Christchurch. Many of these people have been sworn at, punched and jostled, treated as aliens who have no place among us. Contempt breeds contempt, and hatred can breed hatred. Sometimes they strike back, as you would expect — although more often than not, at those close at hand. The doctrine of white superiority is based on arrogance, and ignorance. Since other cultures, languages and religions are worthless, there's no need to learn about them. The "others" are dehumanised, making their misery and suffering unreal. This helps to explain our tolerance for the terrible statistics of youth suicide, incarceration, and family violence in New Zealand. Like the song of the Orcs, it echoes in deep, hidden caverns in our society, menacing and frightening. Every now and then it flashes out in actions that are simply terrifying, like the shootings in Christchurch. So let's be clear about this, white supremacy is a black strand woven through our history as a nation. It was deeply rooted in Europe, even before arriving here in New Zealand. Fortunately, though, it's not the only legacy we have. From the outset, ideas of justice and kindness, equality and mutual respect have provided a counterpoint to greed and colonial ambition. When James Cook's Endeavour arrived in New Zealand in 1769, almost 250 years ago, there were shootings. Four years later, when a group of his men were sacrificed in Queen Charlotte Sound, Cook commented of Māori: "I have always found them of a brave, noble, open and benevolent disposition, devoid of treachery, but they will never put up with an insult if they have an opportunity to resent it." In 1840 when Te Tiriti was signed at Waitangi, for instance, the text describes an exchange of gifts between Queen Victoria and the rangatira, a balance of powers between her agent the governor (kawanatanga) and the rangatira (tino rangatiratanga), and a promise of equality between Māori and the Queen's people (nga tikanga rite tahi). This promise was utterly smashed by the incoming settler government, which proclaimed and practised white supremacy. One hundred and thirty five years later when the Waitangi Tribunal was set up, the New Zealand Government took a step away from this doctrine, although the promise of equality has yet to be amply fulfilled. In the present, let's face it, online, on talkback, in taxis and around dinner tables, the doctrine of white superiority is still alive and well in New Zealand. It's absolutely right that our Prime Minister should take a stand for kindness and generosity, aroha and manaakitanga in the relations among different groups in our country. But let's not pretend there's not a dark underbelly in New Zealand society. The rest of us have to name it, challenge it when it comes to light, and replace it with better ways of being Kiwi. Those in the Muslim community have suffered a terrible loss and need our love and support. But they are not the only group who are targeted by white supremacists, and there are more ways of killing and maiming people than with a gun. 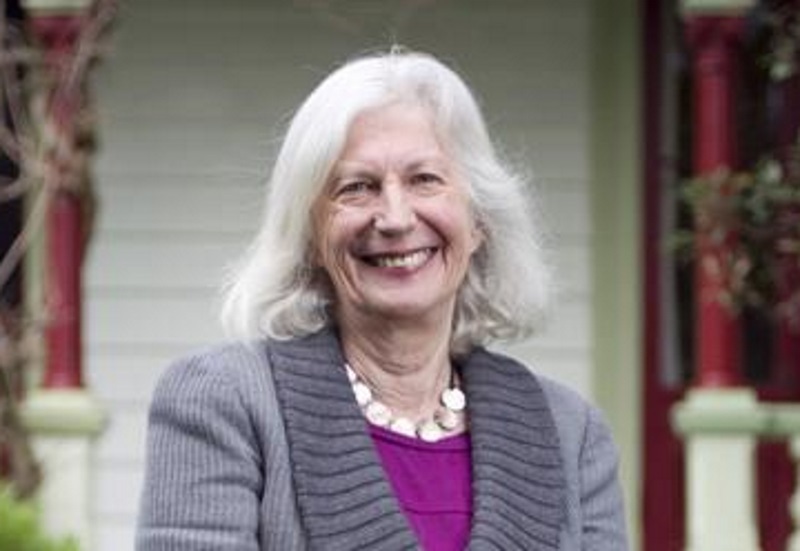 • Dame Anne Salmond was the 2013 New Zealander of the Year. You will appreciate that some have chosen not to go anywhere, for fear of meeting these hegemonic fools.